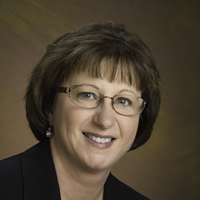 Sandy Nessing is responsible for managing sustainability strategy, corporate stakeholder engagement and annual performance reporting for American Electric Power Co. Inc. (AEP). She wrote and published AEP's first Corporate Sustainability Report in 2007 and in 2010 published AEP's first integrated Corporate Accountability Report, a combination of the annual sustainability report and Annual Report to Shareholders. The 2010 Corporate Accountability Report received First Runner Up for Best Report, recognizing transparency, from the ACCA-Ceres North American Awards for Sustainability Reporting 2010. She currently serves as chair of the Grange Insurance Audubon Center Stewardship Board in Columbus, Ohio and is a member of the Columbus Council on World Affairs Board of Trustees. She is on the Board of NAEM and is a member of EPRI's Sustainability Interest Group Steering Committee, the Boston College Center for Corporate Citizenship and the Stakeholder Working Group of the Electric Utility Industry Sustainable Supply Chain Alliance. She also led AEP's participation in the Global Reporting Initiative's (GRI) Electric Utility Sector Supplement Pilot Program, an international project to develop electric utility-specific sustainability performance indicators.